A dozen more motorists have been convicted following a summer crackdown on drink and drug-drivers, according to police. Police said the individuals were arrested as part of Operation Dragonfly - Surrey and Sussex Police’s dedicated drink and drug-driving campaign - between 6 June and 10 July. Of the 205 arrests made during the campaign, a total of 149 have now been convicted, police have confirmed. Police released a statement saying: “Adrian Fairbrother, 44, a telecommunications employee, of Ferring Street, Ferring, was arrested in New Road, Angmering, on 6 June and charged with driving with 4.4mcg of cannabis per litre of blood in his system. “He pleaded guilty at Worthing Magistrates’ Court on 19 September and was disqualified from driving for 12 months. He was also ordered to carry out 200 hours of unpaid work in the next 12 months, and pay £170 costs and a £85 victim surcharge. “Sorcha Hall-Luke, 22, unemployed, of Cook Road, Horsham, was arrested in Lower Tanbridge Way, Horsham, on 6 June and charged with being in charge of a vehicle with 63mcg of alcohol per 100ml of breath in her system. “She pleaded guilty at Horsham Magistrates’ Court on 7 October and had her licence endorsed with 10 points. She was also ordered to pay a £100 fine, £100 costs and a £30 victim surcharge. “Daniel Hunt, 21, a baggage handler, of Shelby Road, Durrington, was arrested in Columbia Drive, Durrington, on 10 June, and charged with being in charge of a vehicle with 26mcg of cocaine and 124mcg benzoylecgonine per litre of blood in his system. “He pleaded guilty at Worthing Magistrates’ Court on 13 September and had his driving licence endorsed with 10 points. He was also ordered to pay a £340 fine, £85 costs and a £30 victim surcharge. “John Rudwick, 53, a refuse worker, of Court Road, Eastbourne, was arrested in Kingfisher Drive, Eastbourne, on 11 June and charged with being in charge of a vehicle with 67mcg of alcohol per 100ml of breath in his system. “At Eastbourne Magistrates’ Court on 7 October, he had his driving licence endorsed with 10 points. He was also ordered to pay a £120 fine, £200 costs and a £30 victim surcharge. “Mark Metson, 40, a plant driver, of Milne Park West, Croydon, was arrested on the A22 at Nutley on 14 June and charged with driving with 92mcg of alcohol per 100ml of breath in his system. “He pleaded guilty at Brighton Magistrates’ Court on 24 September and was disqualified from driving for 24 months. He was also ordered to carry out 50 hours of unpaid work in the next 12 months, and pay £85 costs and a £85 victim surcharge. “Andrew March, 51, an electrician, of Ghyllside Drive, Hastings, was arrested in Quarry Road, Hastings, on 17 June, and charged with driving while unfit through drugs and possession of amphetamine. “He pleaded guilty at Hastings Magistrates’ Court on 14 September and was disqualified from driving for 12 months. He was also ordered to carry out 80 hours of unpaid work in the next 12 months, undergo a six-month drug rehabilitation order, and pay £85 costs and a £85 victim surcharge. “Alexander Bridge, 43, unemployed, of Brighton Road, Worthing, was arrested on the A259 at Littlehampton on 24 June, and charged with driving with 556mcg of benzoylecgonine per litre of blood in his system, and failing to disclose his name and address when required to do so by a police officer. “He pleaded guilty at Worthing Magistrates’ Court on 27 September and was disqualified from driving for 12 months. He was also sentenced to a 12-month community order, and ordered to pay £85 costs and a £85 victim surcharge. “Joseph Adcliffe-Adam, 44, a builder, of Nefyn, Gwynedd, was arrested in Horsham Road, Crawley, on 2 July and charged with driving with 84mcg of benzoylecgonine per litre of blood in his system. “He pleaded guilty at Horsham Magistrates’ Court on 17 October and was disqualified from driving for 15 months. He was also ordered to pay a £450 fine, £200 costs and a £45 victim surcharge. “William Selway, 20 unemployed, of Kings Barn Villas, Steyning, was arrested in Brighton Road, Lancing, on 8 July and charged with driving with 10mcg of cannabis per litre of blood in his system. “He pleaded guilty at Worthing Magistrates’ Court on 27 September and was disqualified from driving for 12 months. He was also ordered to pay a £120 fine, £85 costs and a £30 victim surcharge. “Sebastian Mokrzycki, 31, a pizza delivery man, of Danum Close, Hailsham, was arrested in Anglesey Avenue, Hailsham, on 8 July and charged with driving with 4.4mcg of cannabis per litre of blood in his system. “He pleaded guilty at Hastings Magistrates’ Court on 21 September and was disqualified from driving for 12 months. He was also ordered to pay a £100 fine, £40 costs and a £30 victim surcharge. “Mark Aylmore, 47, a construction worker, of Bayford Road, Littlehampton, was arrested in Elm Grove, Brighton, on 9 July, and charged with driving with 362mcg of benzoylecgonine per litre of blood in his system and driving with an expired licence. “He pleaded guilty at Brighton Magistrates’ Court on 22 September and was disqualified from driving for 12 months. He was also ordered to pay a £120 fine, £85 costs and a £30 victim surcharge. “Darren Seward, 56, a glazier, of New Hall Lane, Small Dole, was arrested in Horsham Road, Cowfold, on 9 July and charged with driving with 90mcg of alcohol per 100ml of breath in his system. 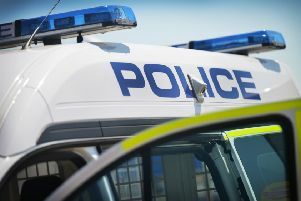 Police have warned people in Sussex to text officers on 65999 with the details of people they suspect of drink or drug driving or visit www.operationcrackdown.co.uk. They can also contact the independent charity Crimestoppers anonymously on 0800 555 111 (www.crimestoppers-uk.org).